Nobody was hurt in the incident on Wednesday. A strange current pulled divers off the La Jolla shore into a tornado-like swirl on Wednesday. 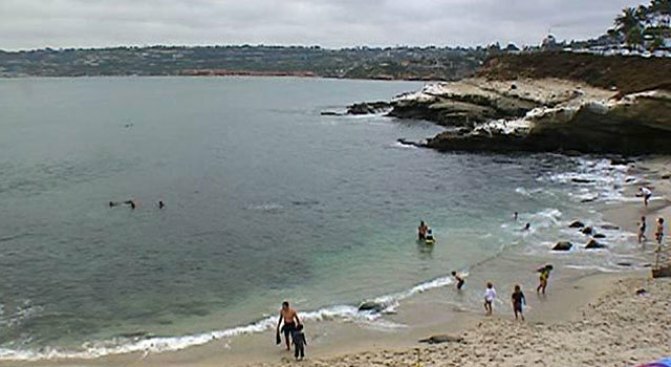 Now, lifeguards are warning scuba divers about the dangerous currents in the waters off La Jolla Shores. Several groups of divers reported the unexplained undertow around 7:30 a.m., according to officials. The divers said the underwater currents were pushing down and to the south about 30 feet underwater. Even experienced divers said they had to fight to get to the surface and that it was unlike anything they had ever experienced. "My buddy tapped me and pointed, and you could see coming down the wall on a southwest direction was a swirl -- almost like a tornado of sand -- and then a wall like you would see in the movies when they're in the desert," diver Terry Strait said. "A wall of sand came pushing down, and we felt this current. It's easy to overestimate, but I would say over a knot of current. " Lifeguards and experts at the Scripps Institution of Oceanography were unable to explain the unusual current.